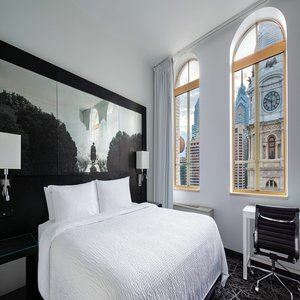 The City of Brotherly Love’s stirring excitement is right outside the doors of Residence Inn Philadelphia Center City. Whether you’re in town for business or pleasure, you’ll love convenient access to all of the local attractions including Independence Hall, Kimmel Center for the Performing Arts, and Pennsylvania Convention Center. After exploring the streets of Philadelphia, return to home-inspired relaxation in our spacious suites, featuring areas for lounging, sleeping, working, and dining. Full-size kitchens allow you to prepare fresh meals while saving money along the way. With our complimentary grocery shopping service, you won’t have to step foot in a supermarket at all during your extended stay! 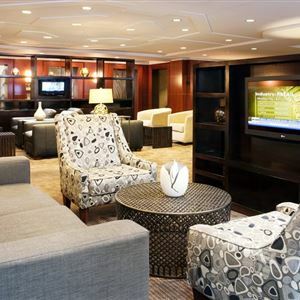 Stay connected with free wireless internet and work anywhere throughout our hotel. At our well-equipped fitness center, you’re able to keep active and burn calories with high-quality cardio equipment, dumbbells, and weight machines. Book today and indulge in Philly style comfort and convenience. Location Description: Guests can feel at home in one of the 290 rooms. Services and facilities at the hotel include a bar, a conference room and a business centre. Wireless internet access is available to travellers in the public areas. Those arriving in their own vehicles can leave them in the car park of the hotel., The accommodation features rooms with air conditioning, a living room and a kitchen. A sofabed ensures a good night's sleep. Separate bedrooms are also available. A fridge, a cooker, a microwave and a tea/coffee station are provided as standard. Internet access, a telephone and WiFi add to the comfort of the holiday. The establishment offers family rooms and non-smoking rooms., The hotel offers guests a range of leisure and recreation facilities, including a gym (for a fee)., Bed and breakfast is bookable.